Use the form below to inquire about Waterfront Stay At Fort Kochi . Use the form below to reserve for Waterfront Stay At Fort Kochi . They come with a huge balcony with views of the waterfront. 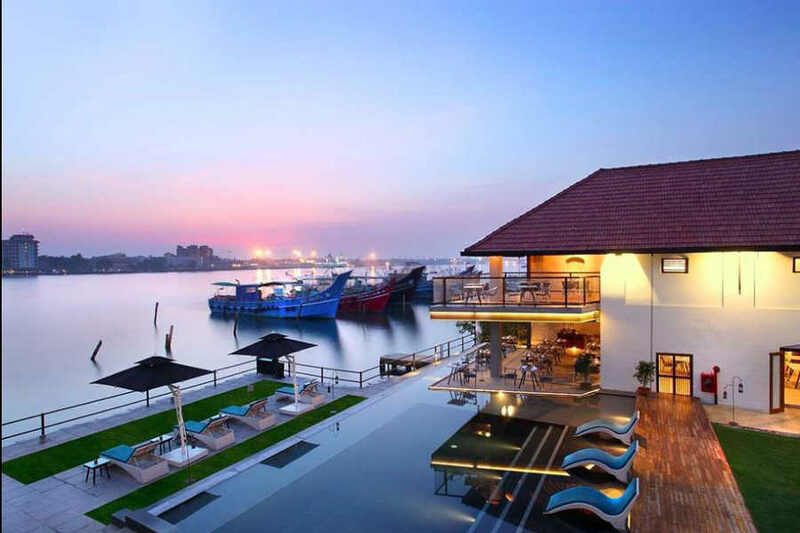 Experience the charm of the Waterfront Stay At Fort Kochi—a place that gives the city’s maritime legacy a new perspective. Fort Kochi is a beautiful paradox with a heady mix of art, colonial history, and culture seeped deep into its being. While graffiti adorns many of its walls, there are many heritage sites that highlight its interesting past. This heritage town in Ernakulam is perhaps the only place in India that features a fascinating mix of Jewish synagogues, Portuguese houses, Chinese fishing nets, and remains from the British Raj. Fort Kochi has been attracting travelers from all across the world with its everlasting charm. 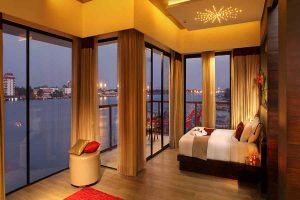 Adding to the delight of the historical town is the Waterfront Stay At Fort Kochi, the perfect place to have a laidback holiday. 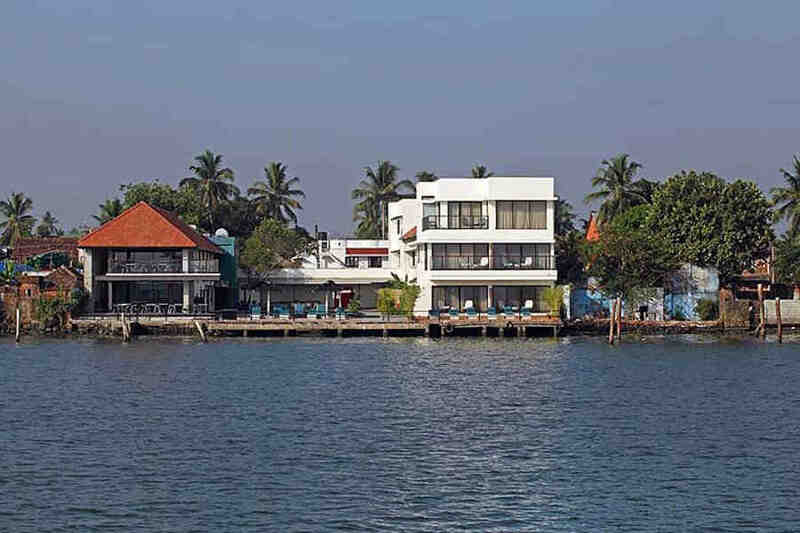 The Waterfront Stay At Fort Kochi preserves the town’s maritime heritage and has made all the efforts to conserve it. The hotel was built by renovating centuries-old warehouses and converting them into posh living spaces. There were three buildings that were renovated and each of them served a different purpose in the earlier days: one was ship captains’ lodging house and the other two housed spices and groceries. The hotel has an all-day restaurant that serves Malabar soul food, which is a fusion of Mediterranean and Indian ingredients. 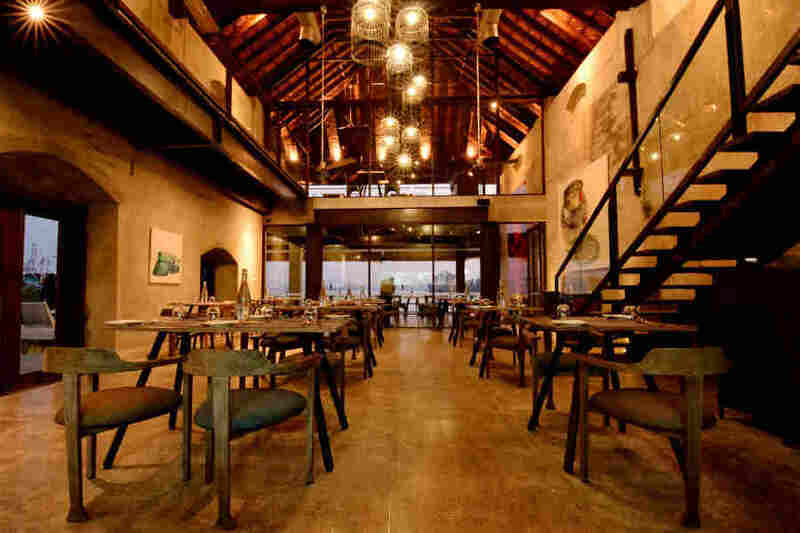 It promises to pamper its guests’ taste buds with delicious delicacies. The hotel has an infinity pool that seems to blend with the Kochi harbor. It’s the perfect place to beat the heat with a refreshing dip. 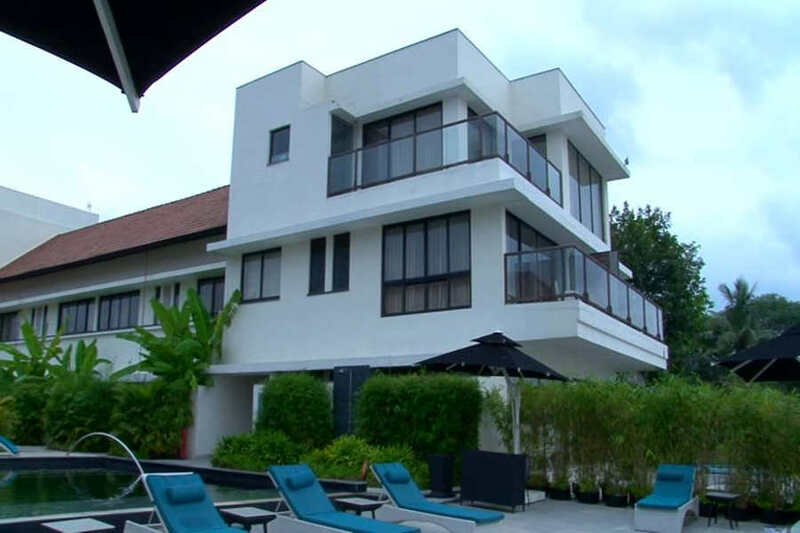 The Waterfront Stay at Fort Kochi offers luxurious accommodation in the form of 14 rooms and 2 suites. 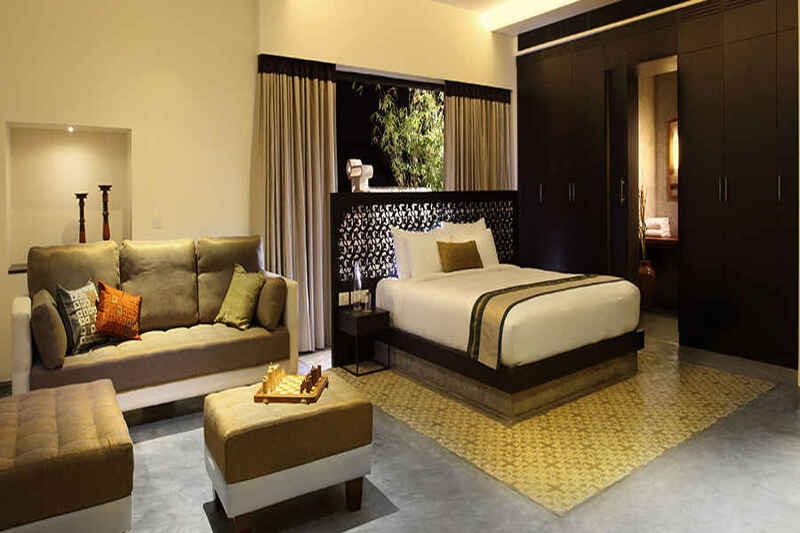 The Harbour Suite includes a lush private garden, a plunge pool with Jacuzzi, and a spacious lounge area. 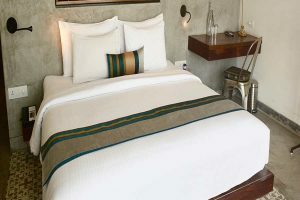 The Spice Suite has two balconies, one with waterfront views and the other with views of the Bazaar Road. The Harbour Rooms come with a huge balcony with views of the waterfront. The Spice Rooms on the ground floor have a private garden and the ones on the first floor offer panoramic views through large picture windows. 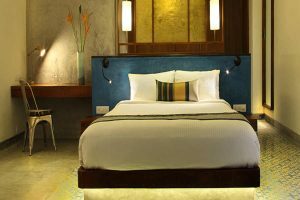 All the suites and rooms at the hotel are well-furnished with comfortable and luxurious upholstery and equipped with all the necessary amenities. 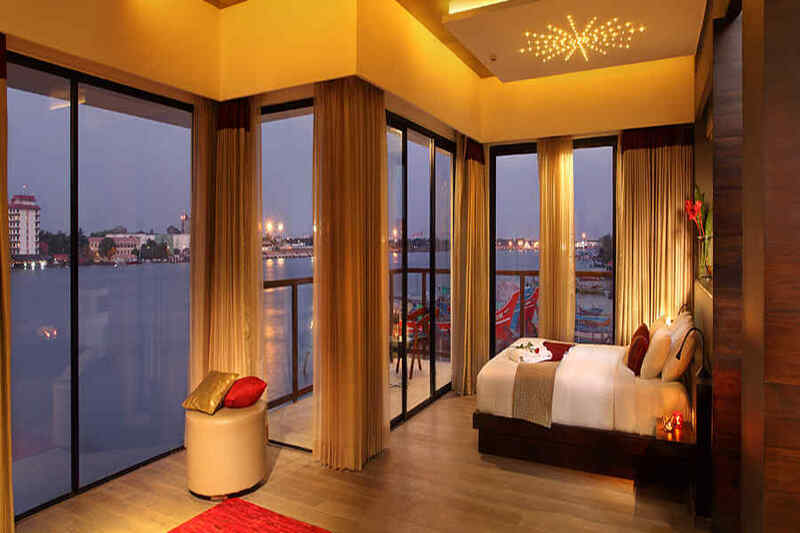 The waterfront views on three sides make accommodation at the hotel an idyllic affair. In case of a no show or cancellation of a guaranteed reservation the accommodation property reserves the right to levy retention charges for the entire stay. Just a walk down the by-lanes in Fort Kochi will give you a first-hand experience of its bustling spice trade. Some of the must-visit sights in the region include the Dutch Palace, the Maritime Museum, Chinese fishing nets, the Indo-Portuguese Museum, St. Francis Church, Santa Cruz Cathedral, and the Jew Town and Synagogue. You can also visit the many cafes popular among tourists and travelers and those that are local favorites too. You can make your stay on the property more interesting by catching up on the cultural shows that are lined up for you, including Kathakali. Fancy some quiet moments to feel refreshed? Head to the beach in the morning, before the sun is out, to practice yoga and stay there longer to get a nice tan or your daily dose of Vitamin D. Souvenir shopping on your mind? There is an abundance of shops, from huge heritage showrooms to tiny hole-in-the-wall stores where you will find gifts of all kinds. And if you wish, you can also take the sunset cruise and feel the sea breeze in your hair! Cochin International Airport is the closest airport from the Waterfront Stay At Fort Kochi, located 37 km away. The hotel is at a distance of 586 km from the international airport in Bangalore. The nearest railway station from the hotel is Ernakulam Junction, located 11 km away. This is a major railway station in Kerala and is serviced by trains from across the country. The city railway station in Bangalore is located 552 km away from the hotel. Kochi is connected to all the major cities by a network of roads. 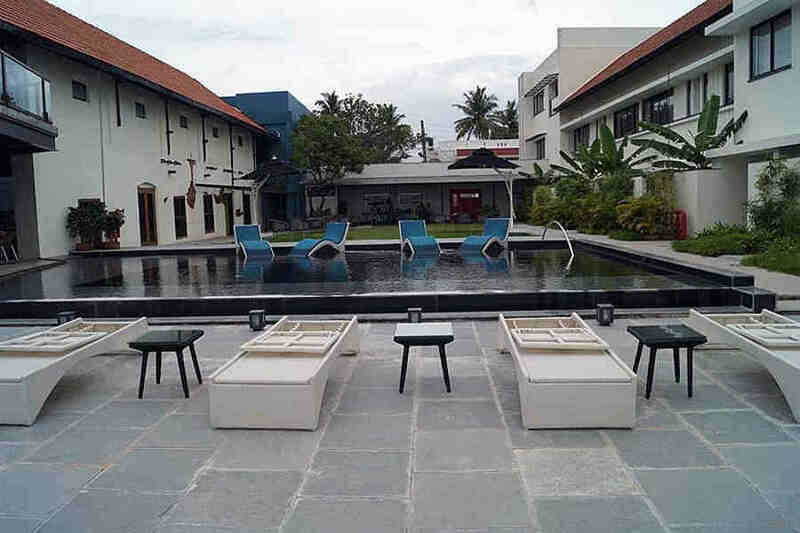 This heritage hotel in Kochi is a drive away from Coimbatore (190 km), Trivandrum (212 km), Mysore (393 km), Mangalore (417 km), Bangalore (548 km) and, Chennai (693 km) among other cities.